Happy Friday. I hope this post finds you well and motivated to create! The wonderfully talented Patrice has a fun and creative sketch for you to try over @ Sketch Frenzy Friday. 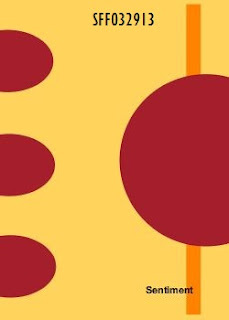 When I first saw the sketch, I had several ideas about the trio of partial ovals along one side. I was thinking, buttons, flowers, hearts, . . . you get the idea. Then I was thinking of adding eyelets and lacing ribbon through. But, I couldn't get the idea/theme to move forward. So, I scrubbed that whole thought process. Then it hit me, what about butterflies cascading. For the cascading butterflies, I applied by 2way glue pen to the edges of each butterfly, and then dunked them in my tub of dazzling diamond glitter. I added tiny pearls to the bodies of the butterflies. For the large circular object, I went with a doily from the Artisan embellishment kit. 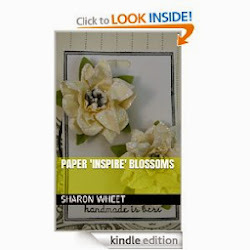 But it looked a bit flat, so I stamped a flower on the doily. I stamped the flower image from Oh Hello stamp set, in soft suede classic ink. I thought that shade of brown paired very nicely with the pool party shade of blue. 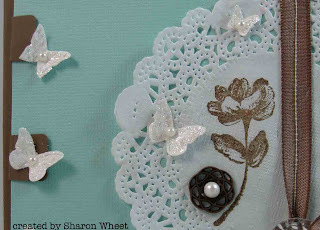 I wanted to add some pretty embellishments, so I added a metal button from the Artisan embellishment kit. But, I couldn't decide if bakers twine or ribbon or linen thread threaded through the thread holes. So, I added a pearl to help soften the whole look. I machine stitched a strip of soft suede taffeta ribbon to the front of the card. I threaded the tails of the taffeta ribbon through the thread holes of the vintage faceted button. I tied the ribbon into a simple bow. I stamped the sentiment in soft suede classic ink along the bottom of my card. I used a sentiment from the Loving Thoughts stamp set. Thank you for stopping by. I hope you have been inspired to play along with us @ SFF. love this card? you can purchase it here, @ my Etsy shop. Another gorgeous creation! Love the sparkly butterflies! 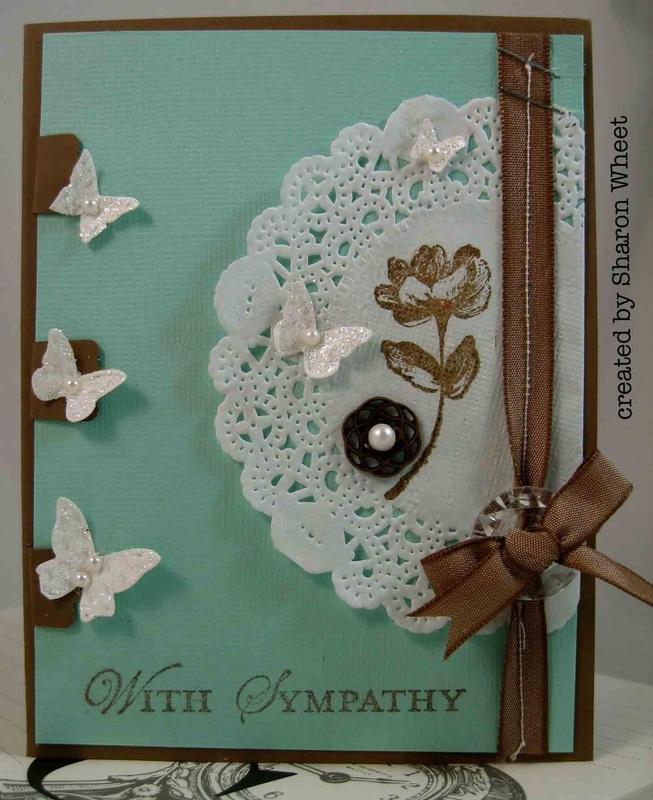 A really great card to do at a workshop! Love it!! 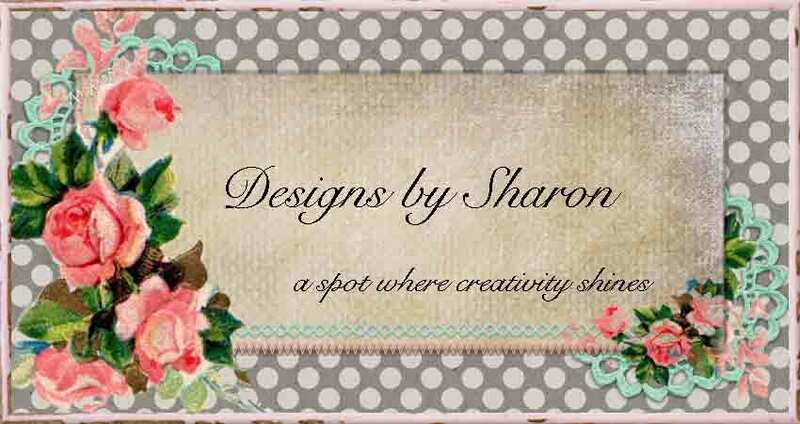 Hi Sharon, As usual this is another beautiful card! I LOVE the color combination you chose, and the cascading butterflies off to the said is just the right touch! Thanks for the Hot Tip of adding a stamped image to the center of the doily it really does give the piece a lot of extra dimension. I will have to give that a go.